Guests of the Beacon South Beach Hotel will be able to visit and enjoy Wrestlemania XXVIII if they are in Miami during the week of March 29 – April 2, 2012. Once a single day event, WrestleMania has expanded to a weeklong extravaganza jam packed with festivities, family friendly attractions, including the glamorous WWE hall of fame induction ceremony and the official WrestleMania pro-am golf tournament. This is yet another great reason why Miami Beach is one of the best sports venure's in the United States," says Chris Regalado, Sales Manager of the Beacon South Beach Hotel. Guests of the Beacon South Beach Hotel will be able to visit and enjoy Wrestlemania XXVIII if they are in Miami during the week of March 29 – April 2, 2012. Once a single day event, WrestleMania has expanded to a weeklong extravaganza jam packed with festivities, family friendly attractions, including the glamorous WWE hall of fame induction ceremony and the official WrestleMania pro-am golf tournament. The night after the main event, the action continues with Monday Night RAW where the road to WrestleMania XXIX begins. 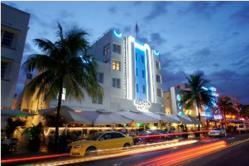 Now guests of the Beacon South Beach Hotel can enjoy their weekend beach vacation by also going to WrestleMania. On Mar 29 the WrestleMania XXVIII Kick-Off Party will mark the beginning of WrestleMania Week in Miami and will start to build the buzz for the match of the century between The Rock Vs John Cena. Now visitors and guests of the Beacon South Beach Hotel can have a sneak peak at what awaits them! This is only one of the many reasons why visitors from all over the world come early and leave late when in Miami. Guests can immerse themselves in the WWE Universe and Miami’s flair for big-time parties as the great time and a unique WWE experience will keep them stunned each and every day of the week. Bring friends and family for this gala week right here in Miami South Beach. WrestleMania Axxess has become the ultimate fan experience in all of sports entertainment, a can’t-miss WrestleMania Week event for all WWE fans. Over four days at the Miami Beach Convention Center, fans will have the opportunity to meet WWE Superstars, Divas, Legends and other personalities, watch live matches, get autographs, see WrestleMania memorabilia, and stock up on all of the latest WWE merchandise. Miami is known for its warm climate, great beaches and most of all, fabulous attractions, gourmet cuisine, exciting nightlife and a great way to spend quality time with friends. While WrestleMania Week will keep everyone busy, check out what Miami has in store for you and your friends. Visitors should buy their tickets today and book their hotel reservations as soon as possible. For those looking for a Miami Beach Hotel, come book a stay at the Beacon South Beach Hotel online at http://www.beaconsouthbeach.com. 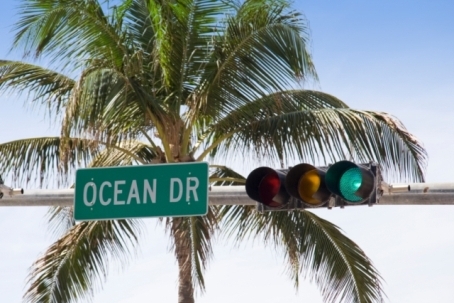 With its seven miles of sand and surf, unrivaled nightlife, premier shopping and exquisite cuisine, the Beacon Hotel is a premier vacation destination in South Florida. This beach front Property is located on 720 Ocean Drive; the Beacon South Beach Hotel blends timeless elegance of the Art Deco era with the modern chic decor of South Beach and offers luxury accommodations, gourmet dining, deluxe spa amenities and personalized concierge services to each of its guests.